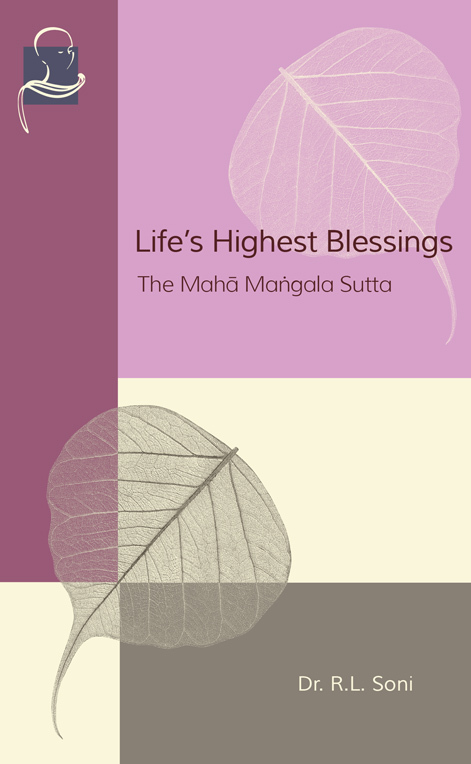 "Life's Highest Blessings" is a study of the Mahā Maṅgala Sutta, an important discourse of the Buddha on the thirty-eight true blessings or true lucky signs (maṅgala). It contains universal, timeless teachings that lead to material, as well as spiritual, well-being and is very popular in Buddhist countries. The Buddha was moved by great compassion at the sight of the pitiable condition of humanity drowning in its own blind beliefs. He sounded the clarion call of freedom and showed the right way of breaking through the self-made crust of superstitions smothering individual initiative, confidence and courage. His Maha Mangala Sutta is a masterly antidote to all blind beliefs and superstitions. When approached to declare the “maṅgalāni” or “auspicious signs,” he enumerated instead the “acts of blessedness,” thus bringing about a psychological revolution in the beliefs of many people. In the eleven stanzas of the Sutta is given counsel which can make anyone an ideal citizen. There are instructions which prepare people excellently well for a fruitful journey through life. Further counsel progressively matures the individual till he successfully passes from the worldly state to the sphere of higher virtues and certain spiritual experiences.